United Laboratories, Inc. (UNILAB) officially welcomes multifaceted celebrity Ian Veneracion as the newest addition to their roster of brand ambassadors. Ian Veneracion who more popularly known as “anton”, the male lead in ABS-CBN’s primetime show ‘A Love to Last,’ has been chosen to advocate for Conzace, the number one prescribed brand for multivitamin plus minerals by general practitioners and dermatologists in the country. And then there’s that totally different side of Veneracion that is separate from show business. Apart from being an actor, he is also a painter, an athlete, a pilot, a chef, and a family man—the last being his favorite role to play. Keeping fit is very important for most people. People who are in good shape are less likely to develop many kinds of long-term health issues from diabetes to heart disease and even cancer. Good exercise habits can also help people feel better and have more energy all day long. A workout is often something that people look forward to during the course of their long workday. Working out helps people release stress and may led to a better sleep at night as well. Keeping fit can also help people let go of their cares and avoid thinking about both minor and major issues they face in life each day. Many factors go into keeping fit. Many people find it hard to keep motivated and keep working out at least three times a week. Some people also lack the time to work out. A busy schedule may mean long hours at work and helping the kids with school work and other activities each weekend. Another issue that may influence a person’s ability to get fit is the time of day. Some people are most alert in the morning. Other people find they are more awake later in the day or even early in the evening. Each person needs to figure out when to exercise. It can be hard for an evening person to find motivation to workout first thing in the morning. For many people, one of the most important obstacles they face when working out is cost. Staying fit on a budget can be tough. Fortunately, creative and innovative solutions can help anyone overcome such problems and still get into great shape and stay there. One of the best places to start any search for a lower cost way to stay fit is with your home. Everyone has a place to live and furniture. Simple isometric exercise can be done at home using many kinds of furniture including your couch or even a kitchen chair. Another surprisingly low cost option for working out are weights. Using weights can help build muscle strength and reduce the level of fat in your body. Weights are easy to learn to use properly for people of all ages and sexes. Weights come in many varied weights from as little as three pounds to twenty-five pounds and up. Those who have never worked out with weights can buy two smaller weights for less than ten bucks. The weights can be stored in a closet when not in use, meaning that they take up less space while also be highly cost efficient at the same time. Children know how to get in shape and stay fit. Look for children’s activities to help you do the same. An inexpensive jump rope allows you to get in shape and save money at the same time. Find a place in your home and make time for ten minutes of jumping a few days a week. Walking is also an ideal way to stay in shape. Walking puts little stress on the joints and can be done at any time of the day. Buy a comfortable pair of walking shoes and you’re on your way to fitness all year long. Local parks can also serve as a source of great workouts if you’re watching your pennies. Many local parks have well maintained trails, allowing you to get a great walk while also enjoying a fabulous view and company during your workout. Exercise bikes are often available second hand for a small fee. Buy one and you’ll have a form of convenient exercise in your home. Regular bikes that are not held to the floor can also be found used. Buy a helmet with it, commute to work when the weather permits, and you’ll not only get fit, you’ll also save money at the same time. Sites like youtube have many free workout videos you can use. No need to buy a workout when you can get one for free right in the comfort of your own home. Look for a workout geared towards your fitness level. Backyards simply expect to be decorated and arranged! They are an empty space that can be used for practically anything from fun to energy collection. It is up to you how you decide to use it. Although there are various options at our disposal, we should consider only a few of them. They are optimal in terms of invested money and time. Most of you will think “Hey, but this isn’t optimal! Pools cost a lot!” Although it is true that you need some money for construction and accessories such as pumps, pool are actually a great long term solution. This is mainly due to the fact that young generations do not spend so much time outside. Instead, they are constantly in house, at their PCs. By constructing a pool you are giving your kids an alternative. You are stimulating physical exercise and time spend on fresh air. On top of that, it also isn’t bad for you! If you consider that pool can last for several generations, it is a clear winner! Rainwater collection is not a new concept; even our grandfathers used it. However, it has been modernized and it offers much more nowadays. Instead of simple water barrels, you can go and install a water tank. With a system of water pump and pipes, it distributes water to your home. This even means that you can live without relying on local water provider especially if you live in a humid area. This system filters water so you can get a clean water in your sink. You can also use this water for showering and other hygienic necessities. It pays off after a while and it represents an eco-solution. Again, we return to the fact that people no longer spend time outside. Besides PCs, TVs are also to blame. We can change this easily. Just create an area (covered of course) where you can set up sectional or chair as well as TV. You can create a wooden construction with a roof and open sides. This way you can get a lot of air and still, all the equipment will be protected. Now, most of you think that solar panels can go on roof and you wouldn’t be wrong. However, roof can provide limited space and some agricultural households may require more electricity than that. With solar panels in your backyard, you can get the necessary energy to power up everything. Have in mind that panels need to be in the open, not obstructed by anything including your home. Also, make sure to check how many sunny days your area has. Most of these solutions may seem expensive. But they are actually very cheap. In fact, most of them pay off financially after a while and start making money themselves. This is why, if you have enough space, you should definitely consider them. Disclosure: I was compensated for this post and this post contains affiliate links, and I will be compensated if you make a purchase after clicking on my links. Christmas is the time to give and the time to receive. We can never deny the fact that gift-giving has become a staple when it comes to Christmas. The girl in me loves to receive gifts and attention during the holidays. On the other hand, the woman in me would want to share the blessings that I have received the whole year to the people I love and the people who have brought a smile to me the whole year. Here are some holiday must have from Stella & Dot that I am dying to have. The girl in me would love to receive fashion accessories, bags and jewelries for Christmas. Who doesn’t want to receive bags and sparkling things for the holidays? I love bracelets and rings and if I were to choose what brand of bracelets and rings to receive this year, I would pick Stella and Dot. I go for style and durability and does not mind if what I wear is made of gold or has a diamond on it. 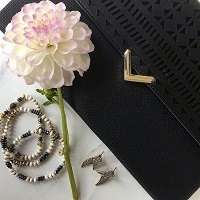 What I love about Stella & Dot accessories is that you can wear them anywhere and will never have to worry of your accessories will fit in or stand out. The designs are versatile and very chic making it a nice staple you can include in your 2017 OOTD’s. Bags and clutches are also a staple for me when it comes to my outfit. I always make sure that my bags match with the look that I would like to achieve for the day. The women in me would want to have a bag that exhibits power, control and determinations but is also sleek, stylish and casual enough to go from work to party. 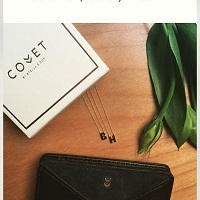 This is what I love about bags that I get from them, you can check out COVET by Stella & Dot is here. Shop Now. You can always go to a party right after work without having to worry about being able to blend in in the party scene, thanks to their stylish designs. I love giving gifts as well. My general rule when it comes to gift-giving is that I give depending to the person’s personality. A bold and fierce colleague would definitely enjoy a fiery lipstick for Christmas. My multi-tasking friend/entrepreneur/blogger/stylist would love a big tote bag that she can bring anywhere. My nieces would probably want a ticket concert for Coldplay’s concert while my nephews would enjoy a free pass to a movie or a basketball game. Nonetheless, I would love to receive quality time and attention from the people that I rarely spent time with due to our busy schedule with work. Time to catch up with family and friends and a few fancy gifts would make my Christmas 2016 a blast. I’m not a make up expert but I guess, i just want to play with my makeup tools and create something pretty for my eyes. I do my kids make up in every school events and plays . This year, we tried our best to re-create Maleficent makeup. I know it will be a hard work for me to create the white complexion because I don’t have a more lighter shade of foundation and I forgot to buy a make up paint. My daughter complexion is morena and she has a small eyes. So, it would be a challenge to make her resemble Angelina Jolie’s maleficent character. I used the below products to create the look. Since clio water kill cushion is more on a lighter shade, I used this as a base and combine MAC foundation so it will last longer. I used the Elf highlighter and eyeshadow to create her eye make up and some neutral highlighter from Logona to have her skin glow. I set the make up with a J&J powder for a long lasting effect. Since, I cannot achieve the whiter complexion on just using the cushion and foundation I have, i used the white shade of eyeshadow to make her face whiter. Although, the eyebrows are not as high as Maleficent, I think, I made a good job with the contouring. I really love the effect especially when friends and family did not recognize her and thought that she lost weight. And yes, we won the first place. Overall, it is a great experience and another achievement for my daughter who is very happy but of course, I’m the one who is more happier. A perfect dinner party is a great time with friends or colleagues depending who is on the guest list. These dinner parties can be used to improve social relationships or can even be used to try to improve your professional status. A poor dinner party can have the opposite effect so it is important to take care of all of the factors that can be controlled. The following are some things to take care of in order to throw the perfect dinner party. An outside space where people can convene is great as it can help declutter the home. Having a nice deck for people to sit on and talk can be great especially if the weather is perfect. The deck can be used as an extension of the home as well as can be a great place for those who smoke to go outside instead of congregating in front of the home. Seating outside is another possibility depending on the weather which can only increase the capacity for guests which is never a bad thing. The host and hostess of a party are expected to dress appropriately. If you aren’t sure if you have appropriate attire then visit express.com as they have coupons that update daily on Groupon. Having a dress code or suggested dress is the perfect way to make sure nobody overdresses or severely undresses. If coworkers are going to be at the party it is important to no overindulge in alcohol as well as it can make for an uncomfortable Monday morning in the office. The food being served should have a variety of options. Having vegetarian dishes is important as a growing number of people are adopting this lifestyle. While you won’t be able to cook to everyone’s liking, make sure that you ask if there are any allergies. Warn people of ingredients cooked together as nothing can ruin a dinner party like a severe allergic reaction. As you can see there are plenty of factors that are in your control as you plan your next dinner party. Utilize this time to bond with friends and family while enjoying each other’s company as well as some delicious food. Sponsorship, scholarship, donation, those words are not entirely new to me. Personally, i benefited on that kind of program since I was a part of scholarship program on my secondary years. Having not to worry about your education or school needs is very important especially for children who are not that fortunate to afford schooling. 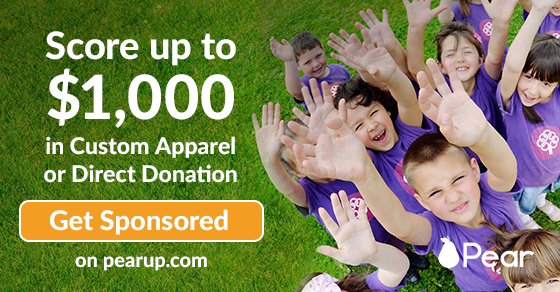 Pear has the same mission, to provide and offer funding for your group, from Custom apparel, gift cards and donations that can help your group in so many ways. Some of their sponsors even offer awards for supporters who join in to support your group. Their program involves approach of effective raising of money for the things your group or club needed for a certain event or competition perhaps. Their simple sharing tools make spreading the word and telling your group’s story online and off easy. Their tools harness the effectiveness of social media so that you can reach and inspire more people to join in, and in return, a greater award can be received by your group. What is Pear? Pear helps brands and communities build meaningful connections through sponsorship programs, gifts and awards, and more. We’re passionate about Marketing that Matters. 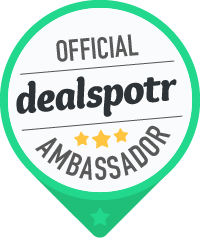 We are a marketing platform that helps adult and youth groups, organizations and sports groups with finding sponsorships with large companies such as Ace Hardware, US Cellular, Verizon, Ritz Bits, Miller Lite and Stouffers. Pear is about raising money for the group or event by connecting with our brands/sponsors online. Our simple sharing tools make spreading the word and telling the group’s story online and offline, easy. The more members that each group reaches and inspires to join in, the greater the group’s award. Supporting groups or events are quick, easy and free. Pear is giving organizations FREE money for sponsorships! Now, is the chance to get the sponsorship you needed. With Pear, you can find a sponsor in less than 60 seconds and activate your community to raise up to $1,000 or more toward donation, gift cards and custom apparel from a national brand or local business near you. Get up to $1000 for custom apparel for your sports team from Side League at Pear. Men’s College and Adult teams only. Chicago only. Disclosure: This is a sponsored post. Affiliate links are provided, if you enrolled on their program, i get a small amount to help this site going. This site is not responsible for any decision you will make and I’m not affiliated on the said company. Music has a powerful effect that can mold the minds of people and change the course of a culture within a society. In the 20th century, no form of music had a greater impact on the culture like punk rock. Punk rock was more than just a type of music. It was a sound that represented the ideologies of generations of people. Punk rock began as an artistic movement. It was a way for the young generation of the late 1970’s and early 1980’s to express their frustration with society and with the culture that existed at that time. Over time, the effects of punk rock were felt in things like literature, poetry, movies, television, and art galleries. By the mid-1990’s, punk rock was something that was seen all around the world. Bands that were formed during the 1990’s are household names today. In just the course of a few decades, punk rock went from being a musical sound that defied the traditional idea of what music was, how it should be performed, and the rules that it should follow, and transformed into something that is considered mainstream. Now it is not uncommon to see women wearing punk fishnets on the streets. Interestingly, for all of the impact that punk rock has had on society, very little has been written about its history. Much of its history is passed down through word-of-mouth. In fact, some would argue that society has as of yet not been able to codify what the word ‘punk’ means. Very little has been done to explore the effect that punk rock music has had on the languages around the world or the social makeup of individuals who form the core of the punk movement. Questions are left unanswered about things such as the role that women play in it, how it influences people who are outside of the culture, what effect it has had on ethnic minorities, and how the media’s perception of punk influenced the way that it is viewed around the world. Something that is interesting about punk rock music is that although its influence is felt around the world, it is something that is essentially a part of American culture. While it is true that certain bands from Britain did bring sounds to North America that were later incorporated into punk rock, the culture as a whole grew up and came of age in the US. A study of the history of punk rock would reveal a lot about the evolving attitudes of society as a whole within the United States over the past few decades. While girls loves dolls and play houses, sons are definitely in love with big trucks and robots. My son is one of those many kids who love trucks and big cars and his toy box has been overflowing with different kind of cars. He had been asking me to get him a truck for quite sometime but I have no luck on finding the right one. But when I saw the collection of Toy Trucks at Birthday in a Box, i know that he will be happy to have one. Honestly, i had a hard time choosing what to get since my son loves all of them. 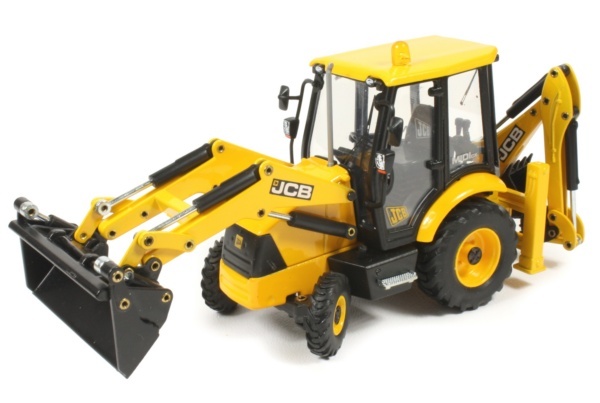 But then, hubby and I decided to get this yellow loader for him. This was really nice since you can remove both the front and back loader. It looks really sturdy and very similar to the real thing. The Bruder Toys company was a German company built by it’s founder Mr. Paul Bruderand and built way back 1926 and since then, Bruder is been creating quality toys and introducing new products to its line of vehicles, promotional gifts and small toys. Their toys will definitely last for a long time since they are made from quality materials and they look definitely similar from the original big trucks. My little boy was so ecstatic to play with his new loader and I’m definitely getting another one from Birthday in a Box. On the other hand, this is just one of the many toys there are offering. Toys that every kid would surely love to have. To know more about their toys and other products, you can Like Birthday in a Box on Facebook. You can have a merry toys galore and not just toys but also party items and materials too. With the modern age, cellphone , tablets, i phones are just one of the few gadgets that are moms should carry. Although, they don’t mind whether it’s the latest model or not, it is still best to indulge them with new features that they will truly love, android is totally in, give them something to work on. Ipad, samsung or blackberry, a tablet would be their favorite next thing, Here’s a blackberry playbook that can give them enjoyable hours. I for one loves to take picture, our moms would be happy to receive something like this so they can document every action and happy moments that comes their way. You have the camera but digital cam coder works differently, record that precious moments of their children and grand children. This will be a sweet deal for every moms. There are lots of gadgets that you can buy your moms this mother day, do enjoy shopping and keep on mind that your thoughts is the one that matters. If you are serious about dressing up, then you know that it takes a little more than a black cape and some boots to create an authentic Darth Vader. And no little Frozen-loving, Elsa wannabe is going to let you get away with buying just a simple dress without a blonde wig. 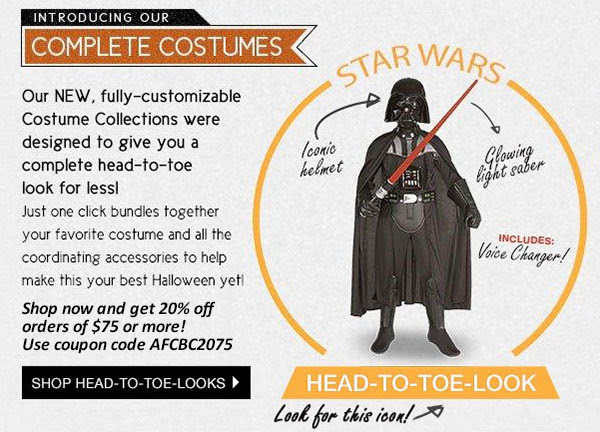 Just like my family who love dressing up this Halloween, this collections from BuyCostumes is definitely a must have. I can’t take my eyes of the pretty princesses costume for my darling daughter. I will definitely check it out so better do too. With Halloween just a few weeks away, now is the perfect time to head over to BuyCostumes.com and check out over 100 different Head-to-Toe Costume Collections. In just one click, you can purchase everything you need (costume, props, accessories) to create the most complete and authentic look this Halloween, and save some money while doing so! No more endless searching trying to track down Captain America’s shield and no more tears because Harry Potter’s wand was accidentally overlooked. Here are a few of our favorite head-to-toe costumes: Get this affordable costume look for you and your kids and for the entire family too. Don’t wait until the last minute! BuyCostumes.com is running a promotion right now where you can get 20% off any order over $75. Just use coupon code AFCBC2075 at checkout! Since, i have my Baroni Necklace last year, I have considered Baroni Designs one of my favorite accessory shop. The fact that their jewelries are actually handmade, chosen and made carefully to create a beautiful pieces that every owner would be proud of. Today, I am again one happy gal to receive such beautiful pieces of jewelry from Baroni Designs. Sarah Baroni, the designer behind the brand really knows how to satisfy every woman’s needs and has a great passion to create designs in jewelry that reflect the personality of the wearer. Feel like a royalty with this pretty Empress Bracelet , a set of of three stretch bracelets, one in substantial beads of lapis and two with small 24K gold plate over base metal beads. Blue is my favorite color when I was a little bit younger, although I thought it faded as the years goes by but seeing this beautiful lapis beads makes me wanting it even more. What is more interesting is the fact that Baroni Designs believe that caring for our Mother Earth is very important thus in their own way help to reduce their environmental footprint. One example is the packaging that they have been using. They use 100% post consumer recycled paper for necklace and earring cards. They are also introducing biodegradable poly-bags for jewelry shipping bags. or you can get your very own Empress Bracelet -valued at $95.00 by joining my Fall Fashionista Giveaway, so make sure to tune in for the details. What would you feel if you receive a gift wrapped in a box as pretty as this? I guess, you would be thrilled and think of dozen thoughts. Isabelle Grace Jewelry is known for their personalized hand stamped jewelry, handcrafted jewelry, Mommy necklaces, promise rings, friendship jewelry, initial necklaces and some interesting jewelry that can make the wearer even prouder and happier. Made in the USA and ship internationally. Each jewelry is created with diligent care and the promise to celebrate life beautifully. If you see it in a romantic point, personalized jewelry such as Isabelle Grace Personalized Necklace is a gift from the heart. You can choose from the wide array of designs and can even add birthstones to make it more beautiful. It’s simple yet interesting design can be worn any time of the day and any occasion it might be. Since, it’s affordable, you can get as many as you want to give to your family and friends. For someone like me who loves to make everything around me personalized, this is indeed something worth having , does seeing my name on this fine .999 silver takes my breath away. If you recently started or are thinking about starting a fitness program, it is wise to learn about the potential injuries that can occur and what steps you can take to easily avoid them. By taking a few preventative measures, you can safeguard your physical health. Most injuries happen because people fail to listen to their bodies. Generally, individuals who are beginning their regime initially ramp up the intensity levels too quickly instead of building up slowly over time. This is less-than-ideal, as this increases the likelihood of pulling or ripping a muscle. It’s wise to consult with a doctor prior to starting your routine so they can inform you of whether there are any parts of the body you should be gentler with. Furthemore, refer to a trainer to show you proper form. If an activity genuinely hurts, stop doing it immediately, as pain is nature’s way of telling you that you are harming yourself. If you have a previous injury or condition, let your doctor and your trainer know so they can adjust your training program and advise you on how to get the most out of your workout. Focusing on flexibility and mobility is one of the best things you can do for your body. Having a regular stretching routine will allow your body to gradually increase its range of motion and decrease the risk of injury while working out. Stretching will also allow your body to adjust to your workout routine faster by increasing blood flow to the muscle and reducing lactic acid buildup; reducing the recovery time and your chances of suffering a workout injury. Stretching after your workout is equally important; by allowing yourself 5-10 minutes of stretching after a workout you’ll be reducing the effects of DOMS (Delayed on-set muscle soreness) and your body will benefit from both psychological and physiological effects. Not all fitness shoes are created equal; our gym classes back in high school led us to believe that we can just wear a basic fitness shoe for most physical activities. Truth is, shoe technology has greatly changed the way we perform and recover. At the very least you should have a good pair of running shoes that has been specially picked for you. Most athletic footwear stores will gladly analyze your stride, arch and foot dimensions and recommend a shoe that will allow you to avoid injuries by adapting to your specific workout habits. If you suffer from under-or-over pronation, make sure you wear corrective footwear or specialized orthotic inserts in order to prevent common conditions like plantar fasciitis. A new piece of workout machinery can be fairly intimidating, as can asking for help. Don’t make assumptions about how the equipment works, as this is one of the most common ways injuries occur in gyms. Make sure to look for instructions posted on the machine and, if there is any ambiguity, don’t hesitate to ask a staff member for further elaboration. By following these simple steps you can prevent both short and long term injuries while also getting the most of your workout. Provide your own personal tips in the comment section below.